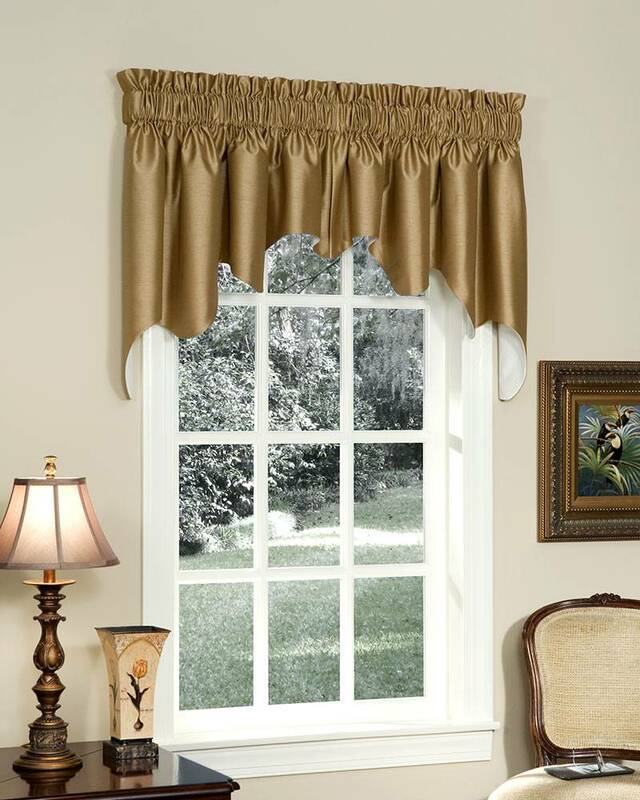 Silkara Lined Empress Swags will frame your windows in a graceful elegance. One pair of swags will work well for windows 36" to 60" wide (as pictured above). For wider windows, and for multiple windows that are being treated as one window, combine with Silkara Lined Empress Filler Valances (sold separately) - insert Filler Valances between the right and left swag panels. Available in 14 colors including neutrals, pastels, and rich jewel tones, swags are fully lined with a heavy cotton lining for weight and protection from harsh sun. A Pretty Windows exclusive, Silkara Lined Empress Swags are made-to-order in our workroom in the USA.